We offer spectacular themes for your events to create a unique ambience. A night fill with color and joy also includes eccentricity and a lot of rhythm. 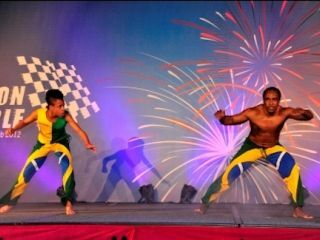 The rhythm of Brazilian Samba and Capoeira will be delivered to your corporate event by our entertainment performances in Macau or Hong Kong. The main ornamental items for this event are colored feathers, paper balloons and confetti. In order to make our clients to feel like they are part of the show, props like hats, funny glasses and colored feathers will be provided. To visit and experience Asia is also to know and experiment a deeply rooted Casino Culture. 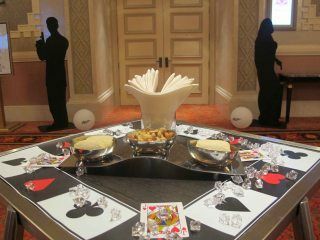 Perfect gaming tables and experienced croupiers/ dealers guarantee success. Guest loves the opportunity to exchange ideas and learn from the croupiers. Fun Casino can also be excellent for charity events, in this exceptional case money will be used and reverted to the causes the company wants to support. In the capital of Gambling or in the bustliest city in South China, are the perfect place to hold a “fortune” themed gala dinner. 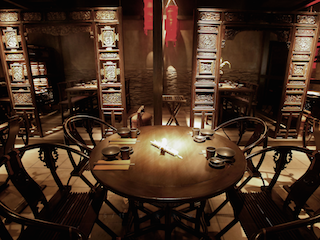 The decoration of “Chinese Fortune” themed dinner will include, Chinese objects, lanterns, bird cages and lucky sticks that will embellish as center pieces, walking areas or even as standees. The best choices for a cultural corporate event in Macau or in Hong Kong will be the traditional Chinese entertainment performances, for example, Dragon and Lion Dance, Changing Mask, Chinese Traditional Music or Shaolin performances. The entertainment includes a casino royal fun casino and special performances that will show that there is no mission impossible for a perfect corporate event in Macau or Hong Kong. A team of skilled events organizers will design an elegant decoration from magic light moon balloons, centerpieces, table decorations and James Bond and bond girls silhouettes. A cocktail party before on after dinner with guaranteed success! 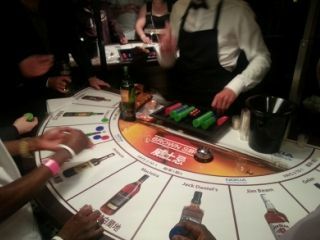 On the Wine Casino, fun and entertainment are for granted to every guest. Croupier/ dealers are actors that will entertain everyone. 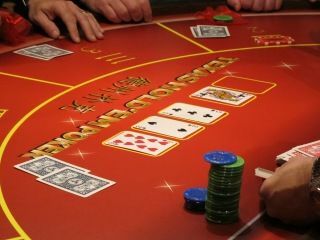 Right at the beginning, each player receives a given amount in casino chips. All the casino chips won at the games will revert to a special auction at the end of the vent. The uniqueness is on the nature of the bets: becode tastes, uncover aromas, and guess the flavors. If you want us to organize your event, send us an inquiry and we will get back to you as soon as we can!